You’d have had to have been living under a rock over recent years not to have heard one or more damaging myths about hot air hand dryers. According to the experts at www.blowmotion.co.uk, even today there’s widespread confusion with regard to what represents the best direction to go for any office or business interested in investing in an efficient and effective hand-drying solution for its staff. The single biggest sticking-point of all and one that stems from a single and generally-discredited study, millions have fallen into the belief that hot air dryers are not sanitary. The theory basically told of how these dryers apparently blast the hands with germs and bacteria rather than helping get rid of them, in turn making them a less-than ideal choice for anyone with even the slightest interest in hygiene. However, most scientific and health groups were unwilling to accept this theory for a moment as a) hand dryers are too hot to harbour bacteria and b) the constant high-pressure air expulsion makes it impossible for germs and bacteria to manifest. And when further tests were carried out, it was made clear that the prior theory was in fact bogus and flawed inside and out. As far as science is concerned, quality hand dryers are supremely hygienic and sanitary…period. Now to call this a myth wouldn’t actually be fair…there are millions of hand dryers in operation the world over that are absolutely pathetic! We’ve all experienced them – the slightly odorous breeze of freezing cold air that does nothing but make things worse – a standard in so many service stations and dodgy pubs. However, when you look at the very best units on the market right now, they’re in a wholly different league to pretty much anything that’s ever been on the market before. A good hand dryer these days will fully dry the user’s hands across the board in a matter of seconds, every bit as effectively as paper towels. And if this isn’t the case, then it’s a case of the dryer itself being outdated and substandard. Clapped-out and bargain-basement hand dryers still do not dry hands effectively – quality machines from brands you can trust deliver an outstanding drying effect. Another theory that steers many people down the wrong paths is the theory that suggests hand dryers cost so much to run that you’d actually be better-off paying for a constant supply of paper towels. Once again, this is a theory that’s at least partially based in a bit of truth as when hand dryers were first invented, the poor level of the technology at the time made it impossible for them to run efficiently. They were expensive to buy and goggle up the juice like there was no tomorrow, so it’s hardly surprising they didn’t win over everyone. These days though, dryers are designed from the ground up to be supremely energy-efficient and use as little electricity as possible when in operation. By contrast, there’s technically no way of making a paper towel dispenser any cheaper to operate as towels are towels and users are users – costs are high and on-going. The amount you’ll pay long-term will be determined by the quality or otherwise of the dryer you choose. Buy a quality machine and running costs will be so low, the dryer will pay for itself in less than a single year. Last up comes the theory that as electric hand dryers require power to operate, they are less environmentally friendly than towel dispensers loaded with recycled sheets of paper. However, what’s missed out of the equation here is the way in which the recycling process itself relies on massive amounts of energy from start to finish – statistically a great deal more than any hand dryer is ever likely to need. Again, there’s something to be said for the age and quality of the unit as some are vastly more efficient than others. But if you buy a quality modern machine, you’ll be investing in an asset that’s significantly more environmentally friendly than the alternative. 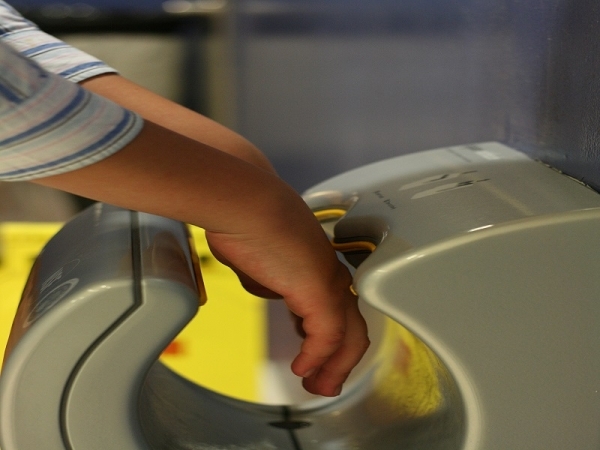 Hand dryers can be exceptionally efficient and effective or wholly to the contrary – it’s the brand and model chosen than makes all the difference.